Ruching is a form of gathering fabric for texture and detail in a garment. 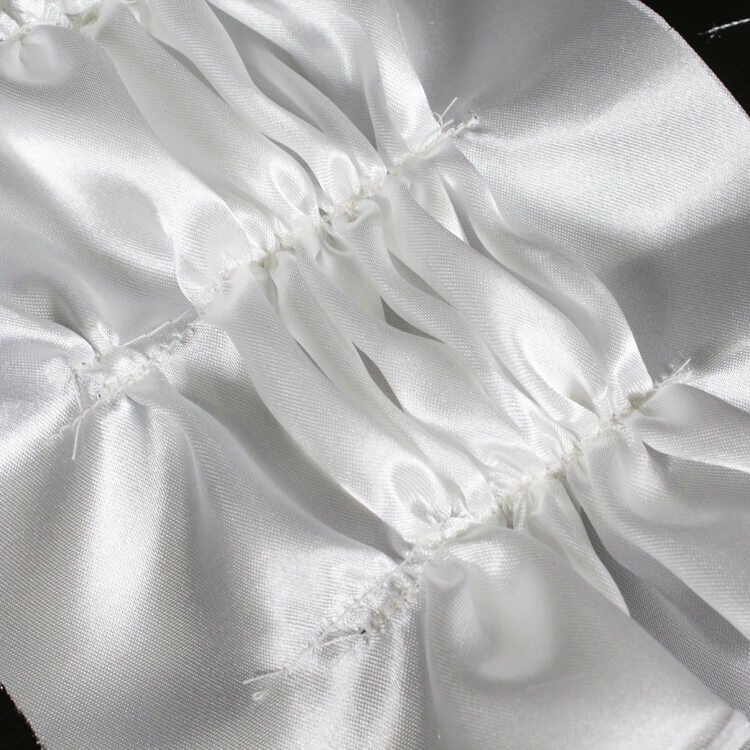 Ruching can be seen in bathing suits, wedding gowns, and fitted tops. It can also be seen in some home decor products such as pillows. First, make sure the stitch length and width is set for the longest and widest stitch. Start stitching a straight line without back stitching. Sew a few more straight lines however many inches apart you’d like. I’m ruching 2 inches apart for a full gathered look. Once you’ve completed the lines, gently pull on each of the threads and gather the fabric. Once the fabric is gathered, pin in place. Change your machine settings to a smaller stitch and stitch over the gathered fabric. Back stitch at the beginning and the end. Repeat this for the other lines. The ruching technique is now complete and can be incorporated in clothing, bedspreads, pillows, lampshades, and more.